After a couple photos of the real, in-the-flesh 2017 Haas Formula One car leaked yesterday, the team’s livery renders look sort of familiar. 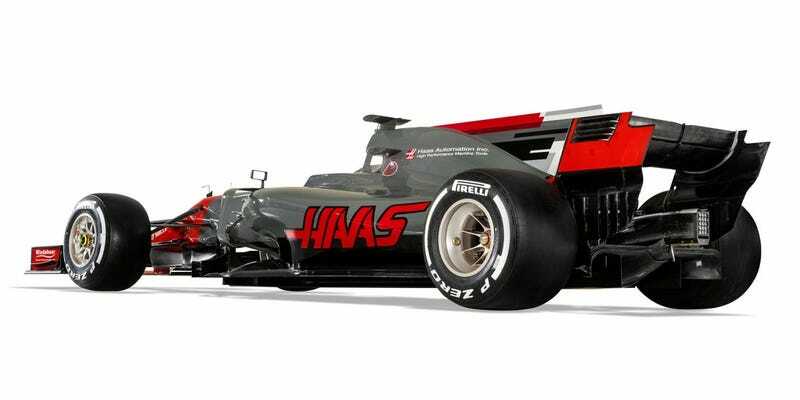 Now we know once and for all: this is the Haas VF-17 car that the first American F1 team since 1986 will use for their second season, and it looks pretty rad. I think the pedal box is the same, but all the rest is very different from last year’s car. You always try to make a faster car, which is normally a lighter car. Now we can put on more ballast and get better weight distribution. The aero is completely new, as are the tires, so we needed to have some built-in adjustability. Aesthetically, the car has a more aggressive look. It’s lighter and more aerodynamically efficient. Everything we learned from our first car has been applied to our new car. Man, I love rules shake-ups. 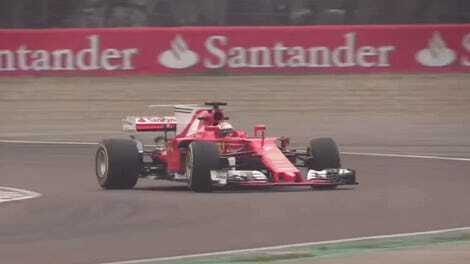 The car is wider and bigger all over, with a wider front wing, a lower and wider rear wing, larger barge boards, and a diffuser that expands two inches in height and width. The tires themselves for 2017's spec are 2.4 inches wider in the front, and a whopping 3.1 inches wider in the rear—making them 12 inches and 15.9 inches wide, respectively. Some bits of this car just kind of speak to me as an American, though. For example, I see some resemblance to Cadillac’s IMSA shark fins in the blocky livery design on Haas’ fin. Please excuse me while I chug a gallon of Coke and belch the Star-Spangled Banner in celebration. The Haas VF-17 will be at the preseason tests starting Monday at Circuit de Barcelona-Catalunya. UPDATE: Haas posted a photo of the car in pit stop practice, and a video introducing it for the year. I’ve missed these sounds so much. The offseason is sad and lonely without them.